The leaves of this Matcha tea keep a more subtle colour and a smoother, more balanced flavour than normal matcha tea. Ginger powder was mixed with the tea leaves to give them a sweeter taste. 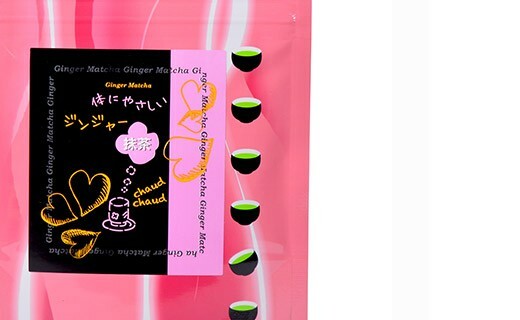 This matcha is guaranteed without colouring or preservatives, or additives. tea matcha, 4% ginger (Kochi origin). Fujini Shoujai Co. prospered from the second half of the 20th Century to the beginning of the 21st Century, as high quality Japanese tea and Uji tea supplier for the Kyoto tea shops. The recommended amount for 10cl beverage is 1g. The milling is so fine that you can also dilute the tea with cold water or cold milk. If you add ice cubes, do it only after dilution in the liquid. 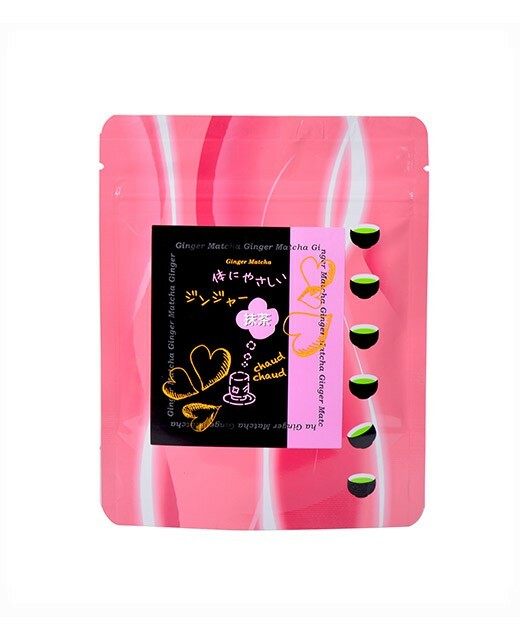 Enjoy this tea at any time of the day and you can also use it for your pastry or preparations in the kitchen.